One of the greatest natural writers in the English language, Oliver Goldsmith was born in a tumbledown farmhouse at Pallas, a small hamlet to the east of Ballymahon. He was a novelist, playwright and poet, who is best known for his novel The Vicar of Wakefield (1766), his pastoral poem The Deserted Village (1770), and his plays The Good-Natur'd Man (1768) and She Stoops to Conquer (1771, first performed in 1773). He is also thought to have written the classic children's tale The History of Little Goody Two-Shoes (1765). The famous writer is immortalised in the town of Ballymahon where a statue of him looks over the town. 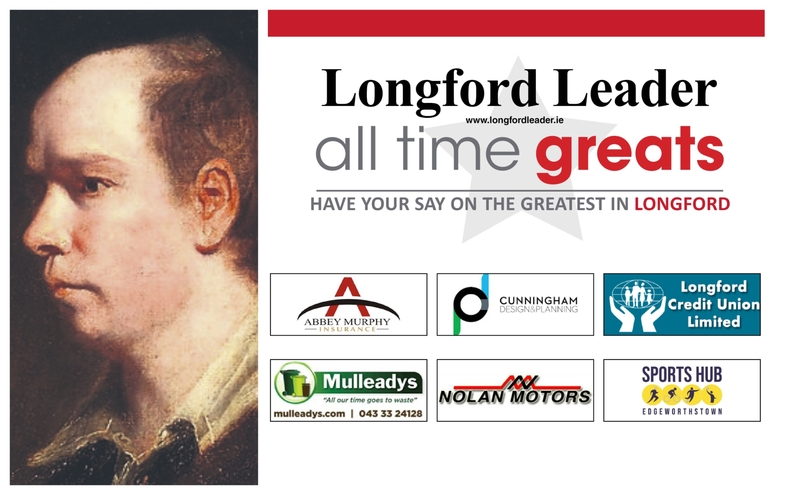 He is also the inspiration for the annual Goldsmith Literary Festival which takes place in South Longford every summer.